The Advanced Certificate is an excellent way to get a firm grounding in market research, providing theoretical knowledge as well as real-life applicability. Hilary was a brilliant tutor – her expertise in market research and research methods were invaluable, and her detailed knowledge of the Advanced Certificate itself was also huge help. Without Hilary, the process would have been far less worthwhile and certainly more stressful! Virginia was incredibly helpful in leading me in the right direction and making me see things from a different perspective. I felt that she cared about how well I did. Feeling that someone else was invested in me was a huge incentive to put the hours in! Hilary was my supervisor and really helped me throughout the whole process. She helped me understand (and prioritise) key concepts and steered me in the right direction to make sure I covered everything important in my integrated assignment. Hilary saw me as an individual and put time and effort into helping me. I appreciated Virginia’s detailed and constructive feedback when doing my MRS Advanced Certificate. Her straightforward approach helped me to understand immediately where I was potentially misunderstanding the course material. She gave advice and examples wherever possible, which was also really helpful in a distance learning context. The feedback Hilary provided for my IA was incredibly useful and without her knowledge and expertise the whole process would have been a lot harder! I’d like to thank my tutor, Virginia, for supporting me in this quest for knowledge. Her knowledge, ability to explain and support were invaluable! Thank you for all your comments and advice throughout the IA…it was harder than I expected it to be…and I’m glad you kept me focused. Virginia helped me pass my Diploma. Her attention to detail and friendly, but critical, approach was invaluable. I appreciated her quick response and proactive style… I simply wasn’t allowed to fall behind. I had worked with distance learning tutors in the past but far and away my experience with Virginia was the best I have experienced. I would not hesitate to recommend her to anyone setting out on distance learning for the first time or an older candidate with some experience under their belt already. She knows how to set the tone. It can be difficult to study on a distance learning course, but Virginia and Richard, from the off, were very approachable welcoming us on-board our studies. They set us up with a study guide and reading list with regular tasks to be completed but with added flexibility to work around our full-time job. The great thing about Virginia and Richard is they gave us constructive feedback quickly so we could brush up on the areas we were weaker on, setting us up for success for our exams or assignments which I’m pleased to say we passed all the units first time. They gave us encouragement throughout the whole course so we never gave up when things got a little tough. I couldn’t have asked for more from my tutor, Virginia, when studying for the MRS Diploma. She is clearly very passionate about research and teaching it, and I felt that my success really meant a lot to her. She was incredibly flexible when I needed to defer an exam for personal reasons and she was there for me when I was ready to begin again with a few encouraging e-mails to get me over the hurdle of getting back on track. The e-tutoring was ideal for me. Having a family and working full time, it was important to have the flexibility to study at my own pace. I have found the tutors extremely helpful, motivating and quick to respond to all of my queries. 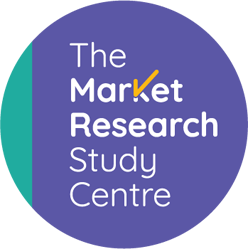 I took on the challenge of doing the Market Research Society Diploma at perhaps one of the busiest times of my life – working full-time, with two young children and a husband retraining to be a teacher. So it was vital for me to be able to do the Diploma in my own time and at my own pace, without the added stress of being available at particular times. Virginia was an excellent tutor, incredibly flexible with her time, always at the end of an email with advice and support, always encouraging me to go for it – and I achieved a distinction in all four modules! I would like to say thank you for your help and support. You have been brilliant. Even when I have been a bit slack – it’s great that you have always been there to give me a push (I mean that in a nice way). Your straightforward feedback has always been invaluable. Unit 5 – wahoo – I passed!! 🙂 Literally over the moon at getting through this, as I have found it a struggle! Thanks for all your help, support and encouragement along the way, especially back in Unit 4 when I had a meltdown over the amount of work. I wish I was working from home as there’s a bottle of champagne in the fridge that I’ve been waiting for the right occasion for!